I had two ziplock bags of cut apples left from this weekend. I had to use them in some delicious way. I checked my cabinet and saw I also had a bag of Kraft Caramels. BINGO! I was going to make-up my own little dessert. I chopped the sliced apples and threw them in a large pan. How many whole apples did I chop? I seriously have no idea…4? 5? Four sounds good. 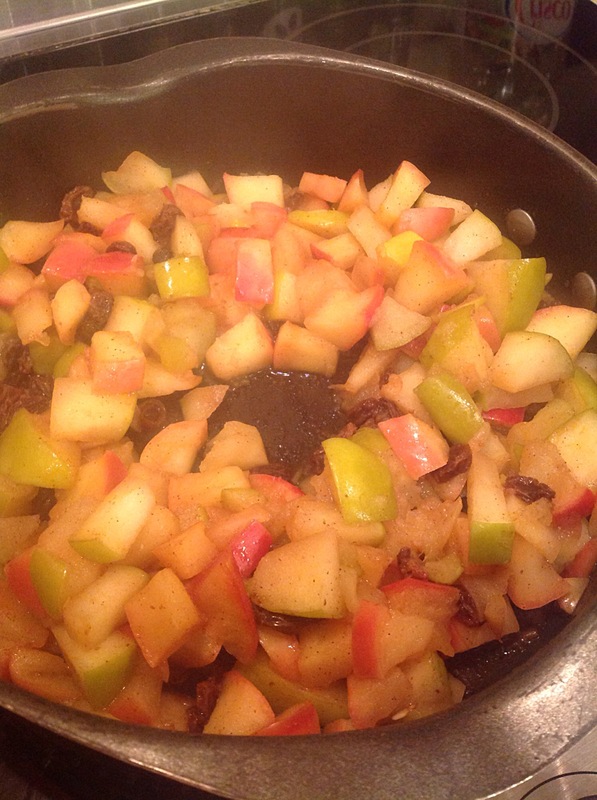 Four chopped apples into the pan. Sprinkle some cinnamon and add a splash of whiskey. (So far, not real exact measurements. Guess I’ll never be on Food Network.) Why whiskey? Well, I thought the apples needed a bit of liquid to get them soft and add flavor. I’m sure apple juice or cider would be delicious, but since I didn’t have either one of those, I used whiskey. Throw in a handful of raisins, if you would like. I did. And I liked it! 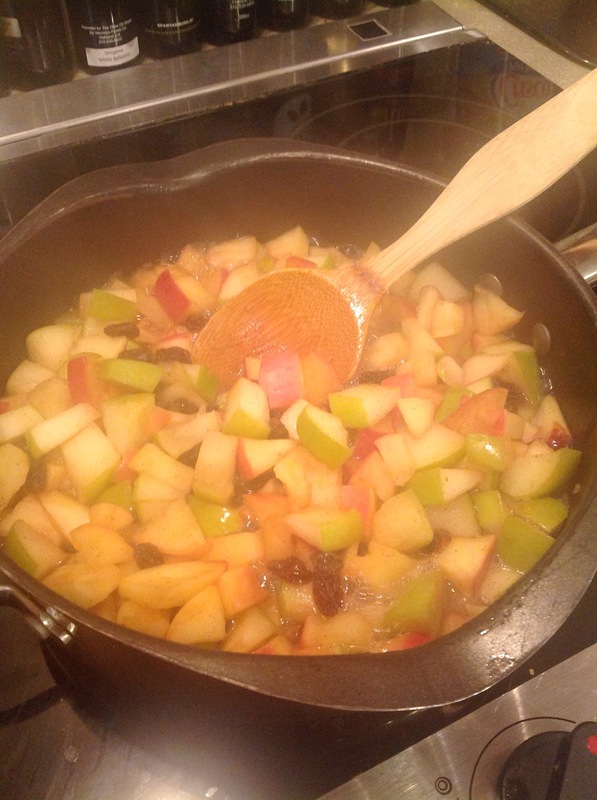 I put a lid on it and cooked the apples until they were soft and the liquid disappeared. 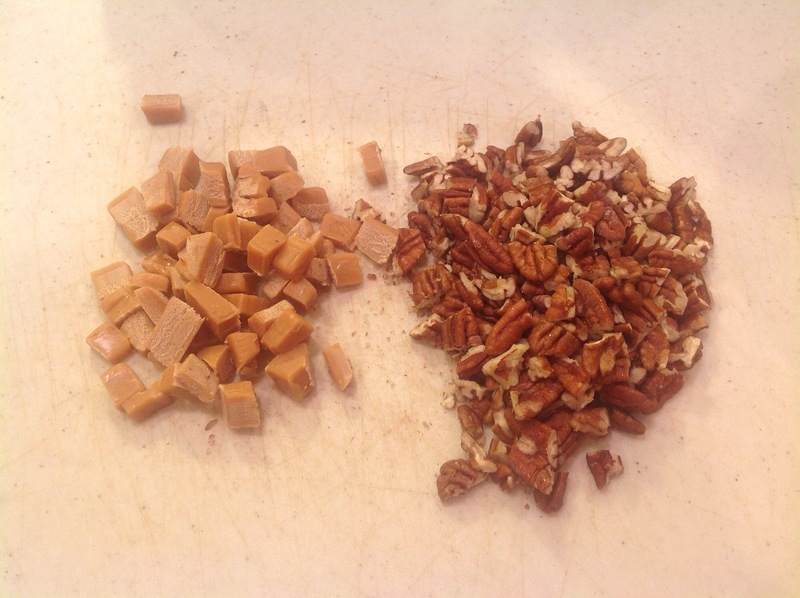 As the apples cooked, I chopped up pecans and EXACTLY 12 Kraft caramel squares. (How’s that for being precise?) But you know what? You can use as many as you would like!!! Go crazy! Use 15 or 23 or the whole dang bag! In the microwave I melted a small hunk of butter. I guess it was like 2 tablespoons. 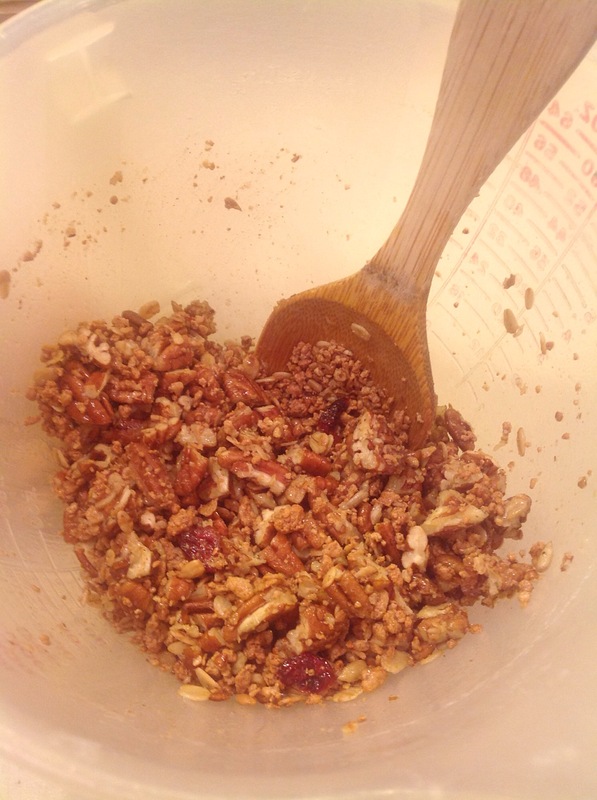 I stirred in a cup or so of granola and the chopped pecans. After a quick taste test, I realized it needed a little something-something. In went some brown sugar and a splash of vanilla. Stir, stir, stir. 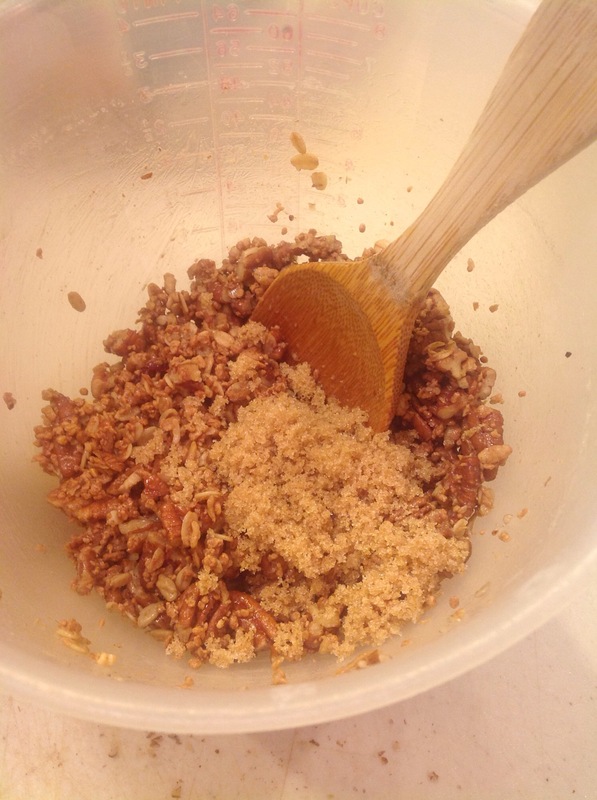 Second taste….yum! 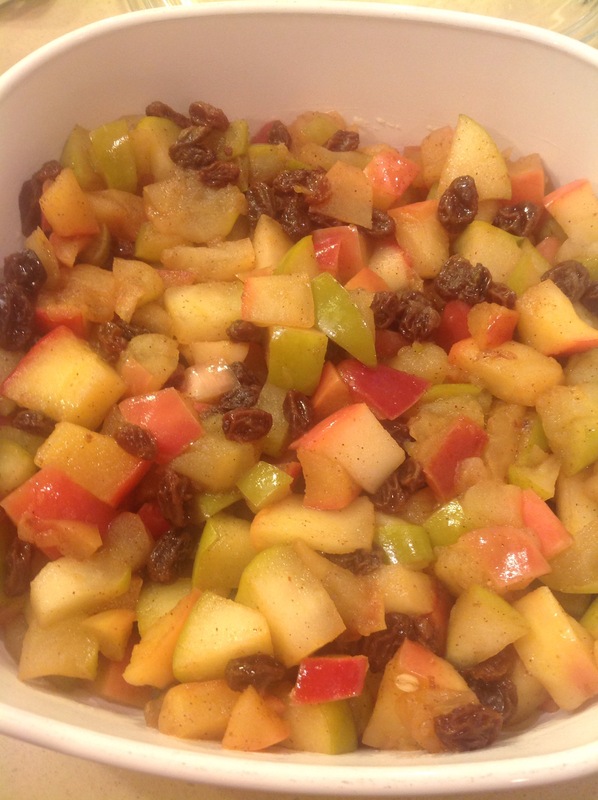 I poured the apples and raisins into a buttered dish. 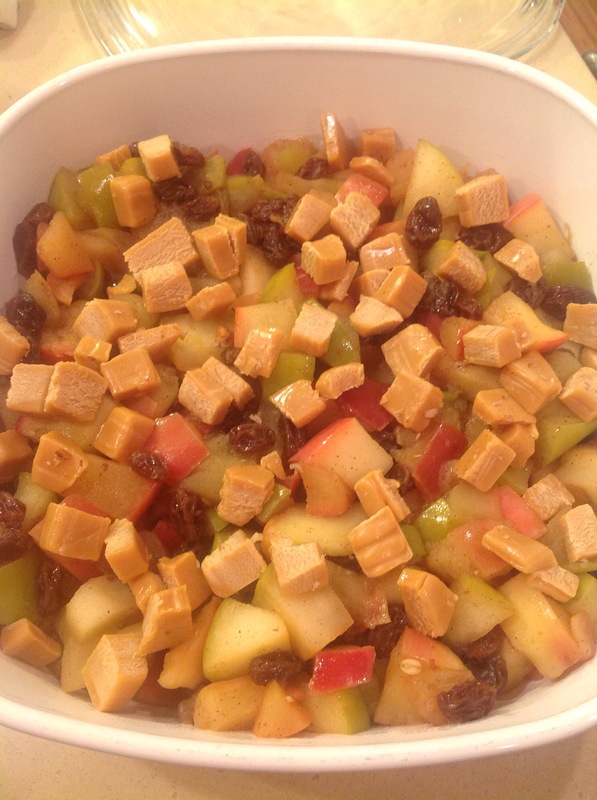 Sprinkled the chopped caramel pieces on top of the apples. 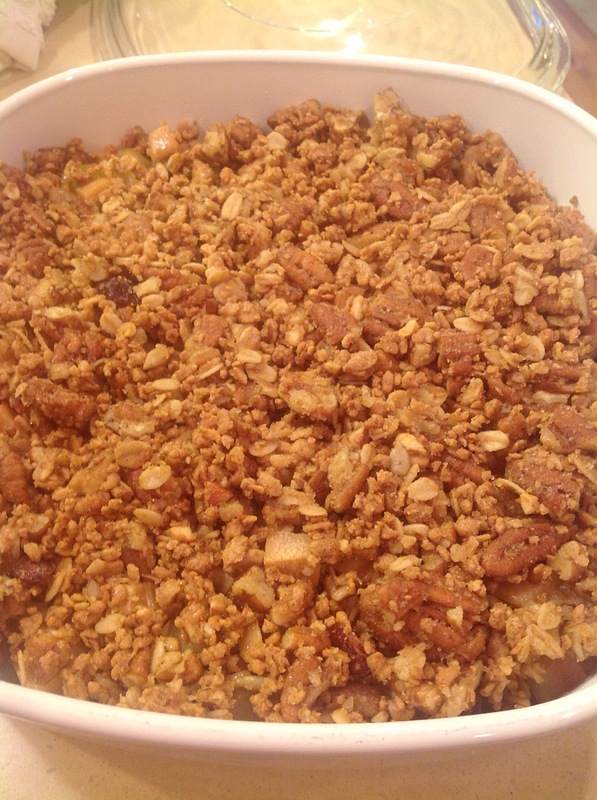 Spread the granola on top. Baked this baby in a 350 degree oven for 20-25 minutes. We’re looking for the caramel to be melted and the topping to be lightly browned. Bake in a 350 degree oven until caramel is melted and topping is slightly browned. Happy Fall Y’all! Hey thanks for dropping by! 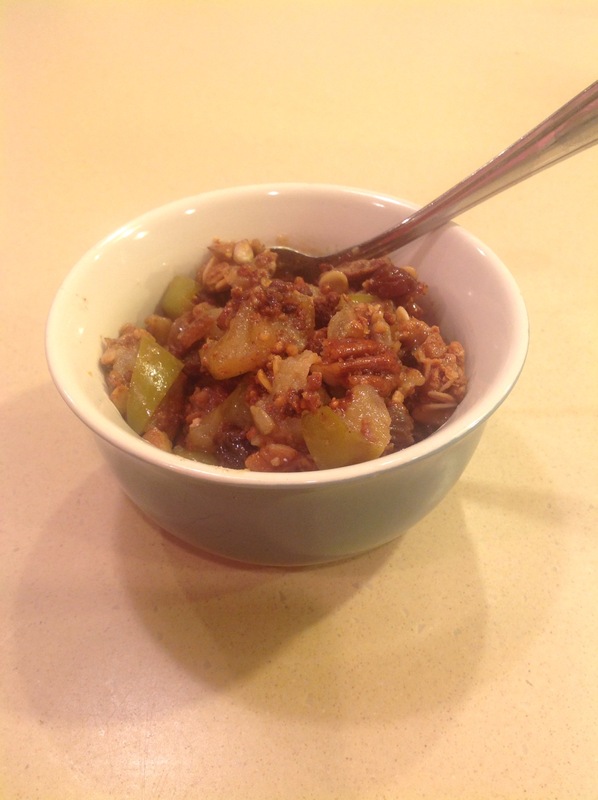 Posted on October 14, 2014 by mary •	This entry was posted in Recipes and tagged apple crisp, caramel apples, fall desserts. Bookmark the permalink.